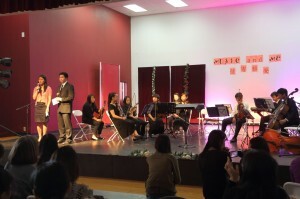 May 26, 2013— Bayecho Teens Speak Out / CPAA Youth Performing Group: Music and Me, 6148 Bollinger Road， San Jose, CA 95129. April 20, 2013— Bayecho Teens Speak Out: Communication between Parents and Teens, ” Trust is the Key, Love is the Way”, Leland High School. 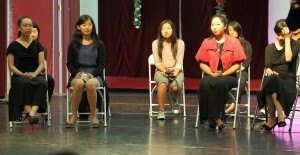 April 13, 2013— Bayecho Teens Speak Out: School Life, Social Life, and Family Life, Spring Camp, Santa Cruz. 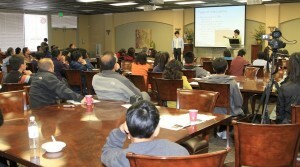 February 2, 2013—Bayecho Teens Speak Out: Social Media, Video Games, and the Internet, Fourth Home of Christ Church. 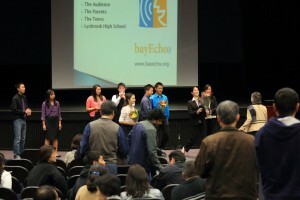 October 23, 2012— Bayecho Teens Speak Out: Social Media, Video Games, and the Internet, Lynbrook High School, auditorium.